Complete Genomics is providing 100 whole genomes sequences to ISB. It's the largest genetic association study of its kind to date. The era of genetic studies based on whole genome sequencing is definitely upon us. According to a recent press release, Complete Genomics will provide the Institute for Systems Biology with 100 (nearly) whole genome sequences to research Huntington’s disease – a degenerative brain condition which affects nearly 1 in 10,000 people in the US. This will be the largest genetic association study of its kind ever. While the genetic causes for Huntington’s are well understood, the study will focus on the unknown “disease modifiers” – genes that cause the variation in severity in patients. If successful, the ISB study will also boost Complete Genomics’ reputation for sequencing. There are many ways to associate genes with diseases. Companies like 23andMe regularly use SNPs (single nucleotide polymorphisms) to identify individuals with high risks for certain conditions. The ISB study, however, will examine nearly all of the genome – looking at SNPs, and sequences of DNA that cannot be analyzed with today’s SNP technology. As whole genome sequencing becomes cheaper (CG is at $20k and dropping) more and more research institutes will be able to follow in ISB’s footsteps and find important discoveries in the less well known stretches of your DNA. That’s going to lead to a better understanding of the associations between illness and genetics and ultimately provide you with improved healthcare. Of course, the study isn’t remarkable simply for using whole genome sequences, it’s the number of those genomes that’s impressive. 100 genomes (probably around $20k each) is a substantial research investment. ISB is taking advantage of the patient pool size by looking at volunteers with severe forms of Huntington’s, members that exhibit a family history of the disease, unaffected family members, and control groups. This comprehensive sampling will likely be necessary as the “disease modifiers” could consist of several unknown genes interacting together. The more data ISB collects from CG, the better the associations they can form. The mountain of data could be a problem, however. Great advancements have been made in lowering the costs of whole genome sequencing, but now the cheaper tests are increasing the size of data sets that scientists have to pour through. Undoubtedly ISB will analyze the data as quickly and completely as they can, but 3 billion base pairs per genome…that’s going to take some major computing power and time. While ISB’s research may be a boon to sufferers from Huntington’s, the guaranteed winner is Complete Genomics. This is the first large sequence study that CG will attempt with their newly expanded facilities. It also puts them squarely on the path to achieving their goal of sequencing 10,000 genomes by the end of 2010. 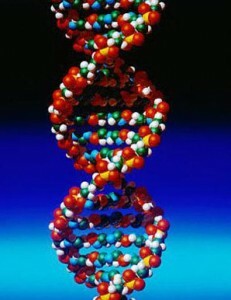 By expanding the range of DNA analysis to outside the standard set of SNPs, CG and other whole genome sequence companies are allowing geneticists to really examine the exome (protein coding sections) and regulatory portions of DNA. As CG, Illumina, and others make whole genome sequencing more affordable, these associated scientific advantages will become even more desirable. That’s going to mean big business growth in the next few years. Hopefully it will also mean big successes in medicine as well.